If one has watched “The curious case of Benjamin Button”, one would definitely understand what it means when we are fed with the quote “Life is to live forward but has to be understood backward.” As much as the mysterious growth of the main character, the quote if related to our way of living in a very close look out at the culture, it holds so much true. We have been living forward without understanding our roots. Things left behind could well be in the race towards being jammed and rotten in the forgotten basket. Like the endangered species, our norms and cultures are fading, and much to the awe of contrary, we seem to embrace new things no matter its origin is borrowed and that it has nothing to do with whatever is ours. Ancient people used to pass down the cultures in the form of the songs, and it involves little wondering as to why music appeals to everyone. People then sang cultures and norms with emotions and music. Today, we hardly have such music and songs other than what our great composers and lamas have penned down in the books and these books makes nothing better than the articulating element in the rich shelf of books in national libraries and museums. These books talks only in certain seminars. Like misty dews, only it lasts just few days and with day break, dews evaporate even without living any trace of having had such programmes. Ten years back, my father would team up with his friends and have archery friendlies. By then he and his friends were proud archers carrying a cheap bamboo bow and arrows. Eves of occasions like losar (New Year) and thrue bab were the busiest. The preparations for such long awaited occasions build with excitement and more excitement. And the biggest days would have score of men shooting at the distance of more than a metre. The women would cheer for the men and would serve ara and tea. Today we have men decorated with colourful piece of clothes sometimes without any sense of occasions. Almost every member in the team would be having at least one or more. 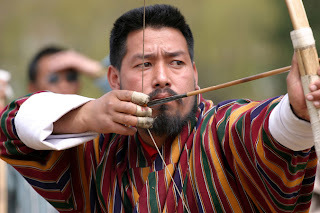 But the charm in having these colourful clothes which although says of number of hits one has on the target is not as exciting and proud as one would have had with traditional bow and arrow. With compound bow and arrow, the speed of game would have increased, but it has defied the beauty of one arrow hanging proudly on the target and all men dancing and celebrating in the traditional version of the game. 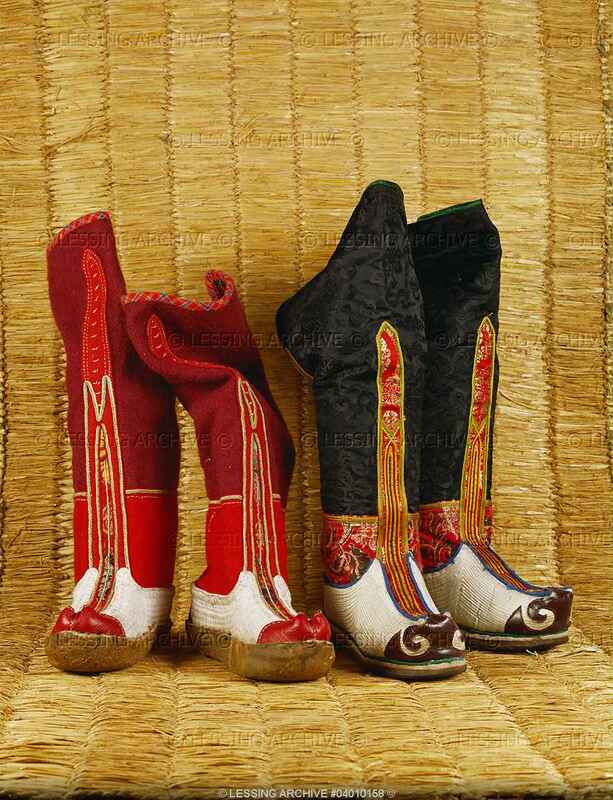 Today we need occasions and national events to remind ourselves of our origin and culture. And this is the sourest truth of all. If it’s not for festivals or tshechhus people hardly fancy wearing beautiful traditional dresses. Of course office goers are something different to be argued here. It’s for the norm and formality of office ethics that one is asked to come in gho and kira. Best place to learn our tradition and culture is institutions and schools, but these days the school students seems to be major part of the population jumping at the fancy of so many borrowed cultures and styles. With unkempt hairs declaring as new hairstyles and pants hanging with inner wears visible, we have our future generations in those shoes whose tongue hangs out like a hungry dog. Do these kids even understand that Dra lhams are made out the hides of animal and they are sewed to add the decorative patterns? Do our kids realise that they are the future of the country, a country that has so far been sovereign and proud for the unique culture and traditions it exhibits proudly? For a small country like ours, can there be anything so strong a weapon than these virgin cultures of ours? Of course, there’s so much globalisation and evolution in our way of living. One can’t survive the fever of the vogue, it comes like a flood and you float with what’s at craze. Right from wearing dresses to ways of eating, from singing to dancing, from reading to studying, there are changes. In last few years with the advent of internet and television, there’s none who could defy the taste of style otherwise one is as good as being called an old fashion, a cave man in an extreme bantering. But the challenge for the Bhutanese in particular rises way above the novelty of such things. We are entrusted with extra responsibility to guard the sovereign and independence of the our small country which not only boasts of more than 60 percentage forest cover but also of having conserved our long aged traditions so far. When the rate of globalisation and multi culture are its peak, to keep our tradition taught in the young generation is very important for elder responsible people. Like our pristine mountain peaks, to the pure rivers it sends meandering through the vales high and low thus serving everything that is near and far from these rivers, it’s in the duty of everyone to understand our culture, conserve it and pass it on to the generations coming. It is not late until we decide not to do.